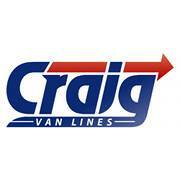 Craig Van Lines is a full service professional moving company. Our family has proudly served the Greater Washington DC, Maryland and surrounding areas for over 80 years. With the help and support of our community, we have remained the premier local and long distance moving and packing company for homes and businesses. We offer professionally trained, uniformed movers for packing, rearranging, and relocation services. Within the same apartment complex, just down the street or across state lines, our movers work safely and efficiently to get the heavy lifting done for you. We will disassemble and reassemble beds, electric dryers, and washing machines as well. Storage & Packing Solutions: We have secure, temperature-controlled facilities where your belongings will be kept safe-guarded until you say so. Need help packing? No problem, we’ll pack the kitchen or the whole house if you want us to. We appreciate that you have considered us for your move to or from Silver Spring. Craig is a local, family-owned and operated moving company and we’re a proud member of the Better Business Bureau and be sure to view our Customer Lobby page.